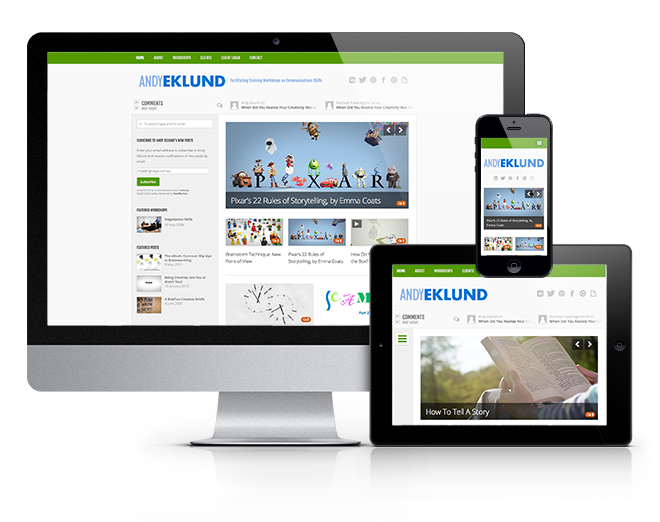 Andy Eklund wanted to combine his successful blog with his training workshops into one good looking website. Done. He also wanted social media integration and a way to manage his subscribers. Done.